Helloooooo fighting game aficionados! Got a great new game video for you! Now I know you all love Street Fighter. After all, it is the big fish of the fighting genre pond. Remember how all the previous street fighters has multiple iterations that kept of requiring a longer title? You know like, Super Street Fighter II Turbo Champion Edition: The World Warrior HD Remix. Well, it’s Street Fighter 4’s turn! Enter: Super Street Fighter 4! And what’s the Super prefix mean in the Street Fighter terms? New characters! Check out the Vid! That’s right, Cody and Guy!! Oh, and T.Hawk, Juri, Deejay, and Adon I guess. Haven’t played SFIV yet? It can be easily had by clicking here ! 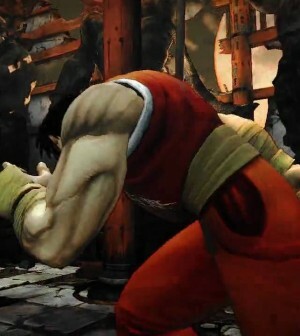 Super Street Fighter 4 to Get Even More New Characters?